Chaotic as they may appear, there is a reason to the Islamist madness, for Man can never be purely voluntaristic. After all, the will is a blind faculty, and must always be guided to some extent by the intellect, even if aberrantly and wrongly. 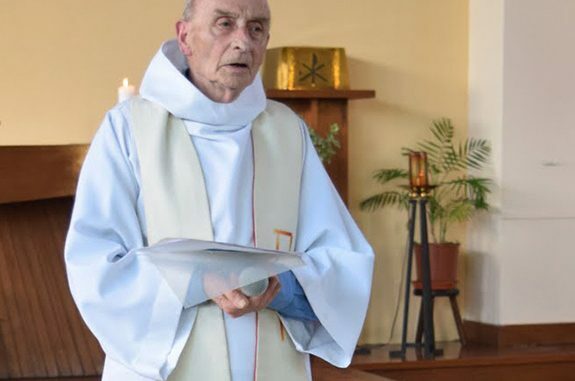 Another Islamic massacre, this time of an octogenarian priest, Father Jacques Hamel, saying Mass in a church in Saint Etienne de Rouvray in the northwest of France. ISIS has claimed responsibility, with promises of more attacks ‘on churches’: These Islamists are nothing if not symbolic, with their own form of ‘liturgy’, working on behalf of their distorted image of God and his law. Francois Hollande, Le President of the Republic, has vowed ‘war on ISIS’, denouncing such random and absurd acts of terror . He does not quite get it, and likely never will, mired in his own agnostic worldview. To such a mind, murders of octogenarian priests in irrelevant and dying churches are completely irrational: Why? This is a dangerous strain in many religions—indeed most, not just in Islam (although here it has had its most violent manifestations). Even in the Catholic Church, it has had its adherents, traced back most formally to the 14th-century Franciscan William of Ockham, who advocated and developed the original philosophical version of voluntarism. 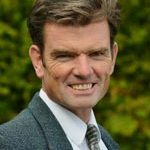 According to Friar William, the moral law is arbitrary, a manifestation of the ‘will’ of God, and could be changed at the divine whim (or will, depending on your point of view). The commandments do not express anything true about God or Man, but on the contrary are arbitrary commands that God could change tomorrow, or next year, or next minute. Not to be anachronistic, but Islam is far more Ockahmist than Thomistic (although Muslims would not put it that way, of course). Sure, Muslims have Sharia law, but that is a legal code, not so much a moral one. Islam, as we see most evidently in ISIS, (and they are closer to Islam’s essentially violent origins than most of our secular leaders want to admit), things like mercy, love, forgiveness, purity, chastity, do not really exist, and certainly should not be applied to the infidel. Hence, their ‘prayers’ before and during rapes and beheadings, mayhem and destruction, shouting out invocations to Allah as they mow down innocent children. As these adherents of a false creed see it, they risk, indeed even welcome, the hail of bullets, a quick and glorious death, then martyrdom and a ‘heaven’ of sensual delights. And to whatever Islamic ‘hell’ for their victims. The violence of ISIS is therefore not purely random, nor chaotic. Rather, it is usually planned well ahead, with knowledge aforethought. The truck-killer in Nice, France, spent a year planning his mayhem, and the murderers in the French parish knew when the priest was saying Mass, knew more or less what the Mass signified, and knew that killing a priest while saying Mass was a very ‘significant’ act. Easy targets, maximum impact. Secularist leaders like Hollande hope to defend France and Europe, but good luck with his ‘war on ISIS’. This is not primarily a military and police conflict, but a spiritual and cultural one. Even at the level of enforcement, confused and wobbling Western nations such as France are rather hopeless. The perpetrator here had actually twice tried to leave France to ‘fight in Syria’ (that is, for ISIS). The French authorities, so scared of Islamophobia and ‘racism’, let him stay, forcing him to wear an alarmed ankle bracelet, which was conveniently turned off each morning, and it was at 9:30 a.m., wouldn’t you know it, that he slit the throat of the priest. These questions are at present unanswerable, for France, as has the rest of the West, has lost its spirit and its culture, its raison d’etre. And without this foundation, no defense is possible, for what, really, is Hollande and the rest of secular Europe defending? As Hilaire Belloc so prophetically wrote in 1920, ‘Europe is the Faith, and the Faith is Europe’. And, as bellicose Belloc went on, ‘Europe will return to the Faith, or she will perish’. The Islamic onslaught was turned back in the year 732 by Charles Martel at Tours, and by Christian soldiers (not least from Poland) in 1683 in the Battle of Vienna. Now, untold numbers of ISIS adherents, potential and actual, are within the very gates. Who will defend us now? The only way to stop such violence and save Europe is, as Belloc stated, for Europe to rediscover her faith, along with which comes a recovery of reason and a sense of common purpose. That is what saved Europe in the past, and it is the only thing that will save her now.